First of all, a cheap gazebo can be a good quality gazebo. 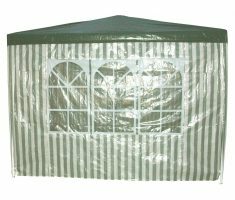 Generally speaking though, people tend to regard low priced gazebos as poor quality gazebos. 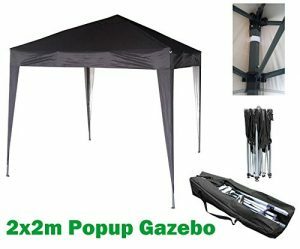 I’m going to try and dispell that myth by finding you the best pop up gazebos at the lowest prices. 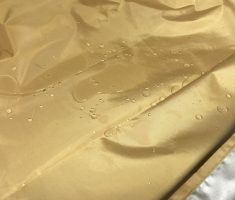 Below I’ve reviewed 4 (now 5 and will be more in time) budget-priced shelters to show you what you’re getting for your money. 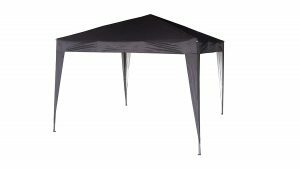 This MCC Gazebo measuring 3x3m looks pretty smart when it’s built and comes in a choice of 2 colours including black and red. Unfortunately, it won’t stand up to anything more than a breeze and that is the only real complaint as a whole but let’s be honest, for the price what exactly are people expecting? Let’s be sensible, you’ve only got to look at the price to know it will have its limitations. 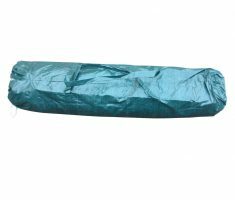 This will not withstand heavy rain, it won’t resist much more than a slight breeze and unfortunately, it doesn’t come with a carry bag. With all the above being said... 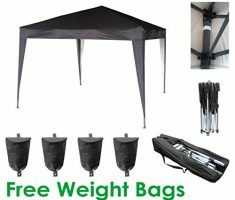 If you require a lightweight gazebo for nice sunny days to offer a bit of shade, etc then i certainly would recommend that you buy this Tectake Gazebo. I’ve highlighted the disappointments of this gazebo due to its inability to stand up to wind and rain. 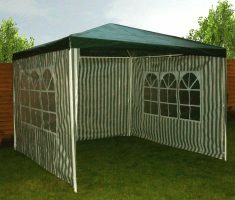 However, if you’re planning on using it during the summer months and the weather forecast looks particularly nice then I’d definitely recommend you buying this gazebo as it’s a nice summer gazebo. 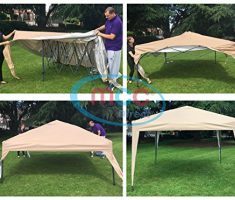 It comes at a very low price and can provide pleasant shade whilst also having the ability to shelter when necessary. Check out the Amazon price by clicking below. This MCC@home gazebo is slightly smaller than the one reviewed above but like in the image, they all pretty much look the same or at least similar. 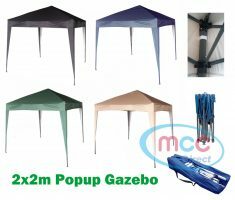 This cheapish 2x2m gazebo comes in 6 great looking colours and personally, I’ve got no preference for 1 colour over another as they all look great. 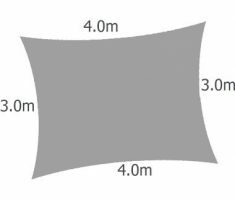 Measuring 2x2m means it perfect for use in your garden or similarly sized environment. 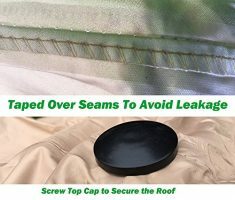 Whilst not having sides it can still keep off those light and annoying showers that pass by all too often. Unfortunately, you can’t leave it built overnight as it is not strong enough for that but let’s be honest, pop up gazebos aren’t really designed for staying outdoors 24/7. This MCC@home gazebo is ridiculously low priced, however, it will not last a lifetime. It is definitely good value for money and you can certainly expect to get a good year out of it too, as long as you’re realistic about what it is capable of. Good value, will certainly last a year and there are 6 great colours to choose from. This is a cheap gazebo, please do not expect it/them to be able to do what expensive gazebos can do that cost upwards of 4 times the price. 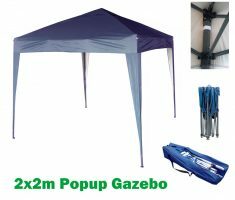 If you need a pop up gazebo that doesn’t have sides and have a limited budget then this gazebo can certainly be a great purchase. It will be ideal to repel wet weather but not downpours and resist light breeze but not strong gusty wind. If you need it for occasional garden use to sit under with friends or maybe just to chill out by yourself then go for it, this gazebo can do exactly that. The Redstone 3x3m gazebo is a low priced gazebo that offers great value for money by having just as many features as many of the higher priced gazebos. With this Redstone gazebo, you are buying a gazebo that can protect you from the odd shower whilst also able to offer protection from the sun. 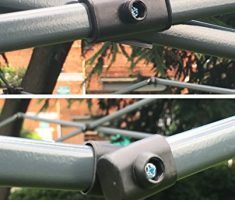 It comes with everything you would normally expect from a gazebo including frame, sides, guy ropes and pegs, however, the only downside is the one colour choice. Here’s the full item list of what you’ll receive once you’ve placed your order. This Restone gazebo is surprisingly strong although it’s still not strong enough to leave outdoors overnight. 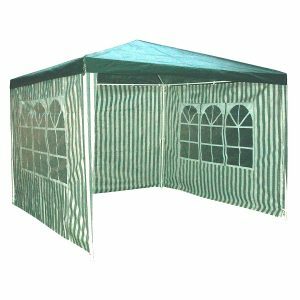 Also, if you want a choice of colours when choosing a gazebo then this make isn’t for you as there is only one colour to choose from, however, the green and white stripes do look very smart. This really is a decent gazebo for the price. I normally agree with the old adage ‘you get what you pay for’, however, this gazebo seems to offer that little bit more than could ever be expected. 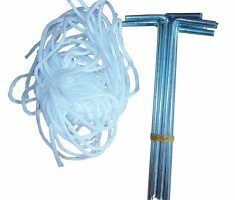 To say you’re getting a fully enclosable gazebo that comes with pegs, guy ropes, and a carry bag, you really can’t go far wrong. Obviously, you must err on the side of caution when it comes to the type of weather you’re going to subject it to. 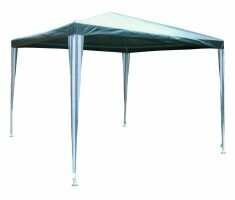 However, as long as the wind isn’t strong and the rain is light then you have a gazebo that should easily last 2 to 3 years. 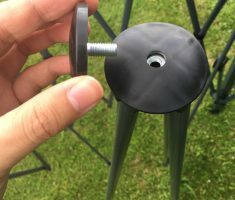 You may find that the colour may slightly fade if this gazebo is used in strong sunlight for extended periods but that happens to the more expensive ones too. Are you up for something a little bit different? 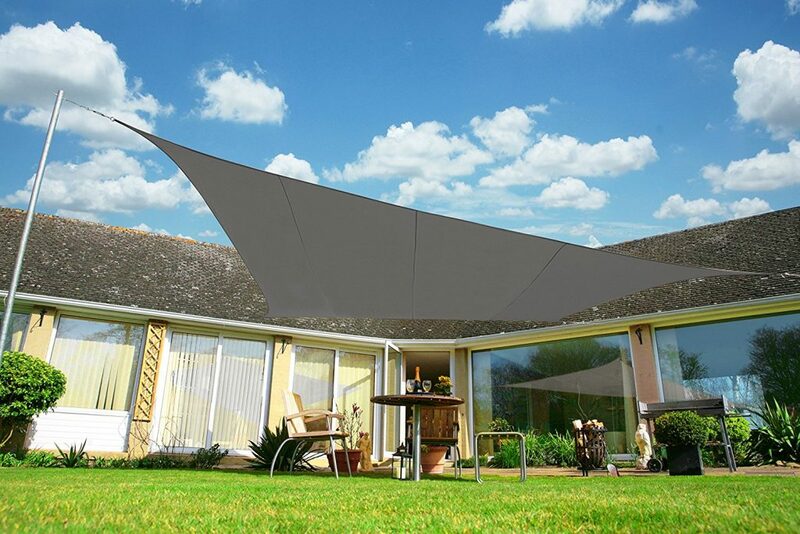 Take a look at this shade/canopy and see what you think of it. Well, this is certainly different. 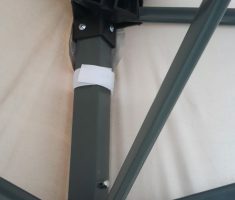 If you’re thinking that cheap gazebos generally have a bad reputation then you may be tempted by this. 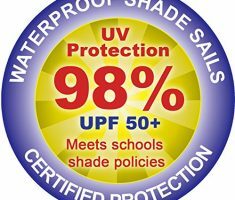 This very versatile, strong and waterproof shade can be used for a wide variety of purposes whilst also the shape of it means it can go in even the smallest of gardens. 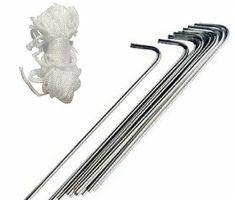 **You need to buy the fixing kit separately. For more info just head towards the Amazon button below and you’ll find the ASIN code, just click the button and enter the number into the Amazon search bar. If you insist on wanting to buy a cheap gazebo because this isn’t a gazebo but it’s a great alternative. 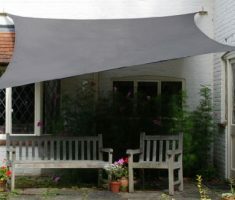 There are plenty of different sizes available to buy so you arenot limited to this 2m x 3m shade sail. 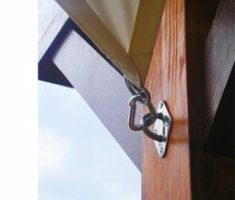 To be honest ilove the concept of this and just how simple but effective it is at protecting you from the sun and rain.. Totally recommended. At this ridiculously low price, it does exactly what it says on the tin. 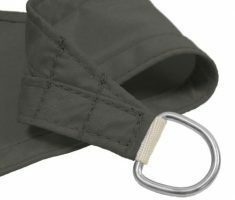 It’s a shade sail that can stop you burning in the sun whilst also keep you dry. 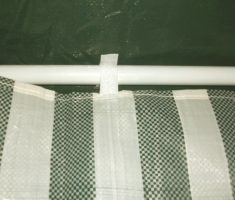 You can also improve its effectiveness of keeping you dry by tilting the angle.